Oh I don't know, maybe I'm just getting old and impatient and maybe I've lived in a big city too long and maybe I'm just a wally - but I'm getting more and more frustrated with what I see as unnecessary stuff, process or systems, getting in the way. A bit like the stuff I mentioned in this post. Unnecessary complications. Faffing. Milling. But there's a whole extra layer to this that really annoys me and that's the unnecessary complications that people think are helping. Unnecessary complications that people think are doing you a favour or aiding you in your task, somehow. The best example I can think of and my most hated example is the pilots announcement. "This is the Captain speaking, the weather at Atlanta is currently a temperature of 70 degrees with light winds. We're cruising now at 35,000 feet. Today our routing takes us over Memphis. We show 50 minutes remaining, arriving 5 minutes ahead of schedule. The selt belt sign is currently off, in case of turbulence we recommend keeping your selt belt on when you're seated. Thank-you." I hate this so much. I don't care how high we're flying! I have no idea what the difference is between flying at 35,000 feet or at 25,000 feet and I have no idea what you want me to do with this information. And worse - I WAS WATCHING A MOVIE and you interupted to tell me this useless stuff. Every. Damn. Flight. There's a good page here which encourges pilots to keep up this antiquated, annoying, process. They think they're helping. They think it makes them appear superior and that they're doing a good service. They're not. I'm calling this the pilots announcement problem from now on. 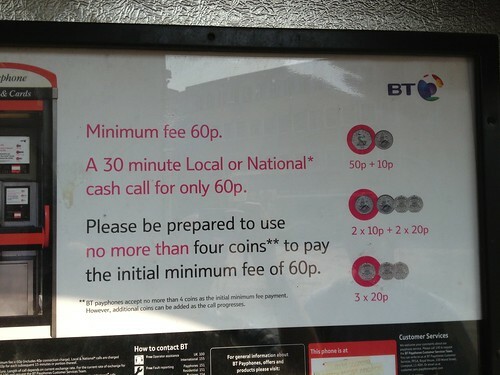 Also - this madness, "please be prepared to use no more than four coins". 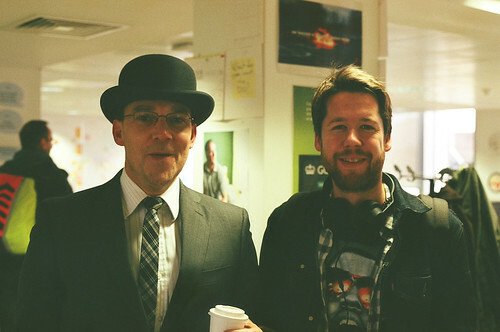 Sarah, Head of Content at GDS, sent me this the other day. You should read it, it's good. "There's not much here. Just words. And you're reading them. We've become obsessed with fancy designs, responsive layouts, and scripts that do magical things." At GDS we've always been about making things simpler but there seems to be an increased focus on that at the moment. What do I mean by simple? Think about the time you used the web and you just wanted to know the football score. You didn't want any flashy animations or videos, or any innovative UI, you just wanted information - fast. Or the time you needed to know the opening times of a restaurant, or the postcode of that office you were on the way to. Think about when you used a cashpoint and you just wanted £20. You didn't want to check your balance, or print a receipt or win tickets to the World Cup. You just wanted £20. That's what I mean by simple. Illustrations by Amber Anderson, I think. Photo by Rachael Steven, I think. It's impossible getting to all the student shows. Creative Review have a good thing called Talent Spotters where people send in reviews of student shows. There isn't a tag to group them all but there a few here, here, here and here. There are lots more. It's a good idea. Once again proving that CR are doing analogue and digital in complimentary ways. 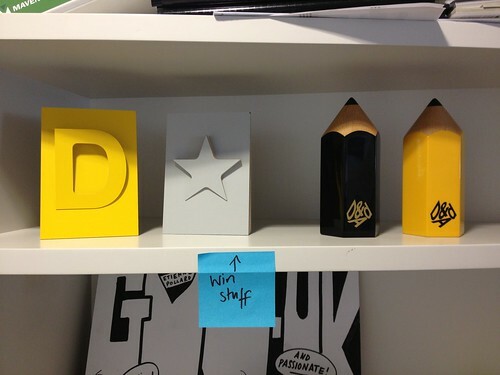 We’ve won some design awards recently which is very flattering and has meant lots of people want to write about design at GDS, which is also flattering. The downside is that I get lots of emails asking the same questions. GDS is about much, much more than design. Design is a key part (and my bit) but it’s just one part of what we’re doing. 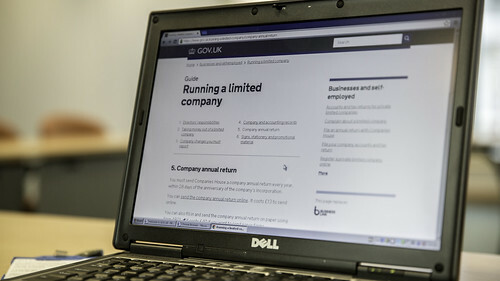 As an organisation we have a very open culture, the boss has a phrase, “publish don’t send” and so in the spirit of that I've published some links to the basic facts about GDS. Watch this video of Mike's talk at the Code for America Summit October 2013. Good interview with Mike on the NPR blog. Bloomberg BusinessWeek cover story on Healthcare.gov "The British learned from their mistakes. 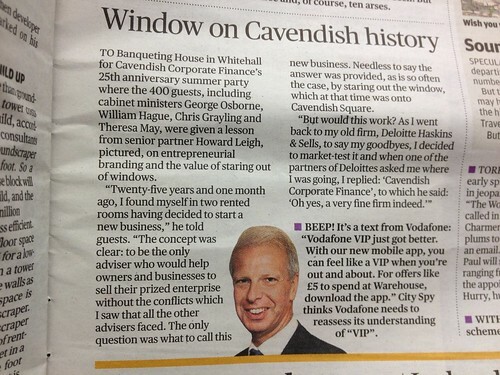 The disaster empowered Francis Maude, the minister for the cabinet office, to bring in technologist Mike Bracken to overhaul how the British government did IT. Today, gov.uk is something of a wonder." New York Times OpEd by Clay Johnson and Harper Reed, "we need to create our own Government Digital Service." Mike Bracken's reading list "Reading the digital revolution"
Well, it will get you most of the way at any rate. 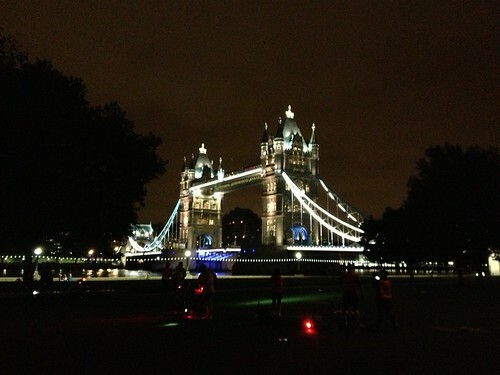 We cycled around London the other night. 100k loop from Crystal Palace to Alexandra Palace and back again. Timehop told me that we did the same last year and I tweeted how wonderful London is. Russell just blogged, "Whoever you are, wherever you've been, London has beautiful corners you haven't seen." It's a great city. I am fortunate to live here. In case you haven't seen it, an online archive of Alan Fletcher's work has gone live. It's a lovely thing and a rich resource of picture and writing by friends and collaboraters. But these are different. These are brilliant. Particularly the alphabet. Full story here, full guidelines as a PDF here.